Travatello was global brand and consumer marketing practice chair at Burson-Marsteller. 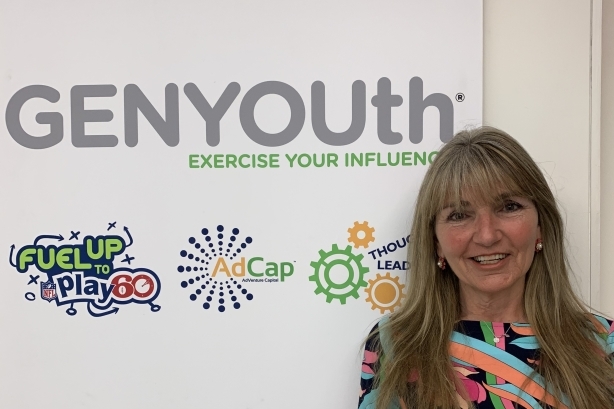 NEW YORK: Nonprofit youth wellness organization Genyouth has appointed Lisa Travatello as CMO. Travatello joined the organization in mid-March, reporting to CEO Alexis Glick and working with Ann Marie Krautheim, president and chief wellness officer. The CMO role is new at Genyouth. Travatello is responsible for leading Genyouth’s brand-building efforts and working on business and partnership development to support increased student engagement and new ways to advance wellness in school communities, according to a statement from the group. Travatello said she is also elevating brand talkability and CEO visibility and creating "highly impactful programs" in schools to promote healthy, active students. "Part of our opportunity is to pursue and build new partnerships with corporate brands that have a commitment to brand purpose," Travatello said. Travatello was most recently PR officer for the city of Glen Cove, New York. Before that, she was global brand and consumer marketing practice chair and creative director for Burson-Marsteller. Before joining Burson in May 2011, Travatello served as EVP and curator of creativity at Current Lifestyle Marketing and EVP of consumer marketing and CCO at fellow Interpublic Group firm Weber Shandwick for nearly eight years. Travatello also spent five years at Porter Novelli, serving as SVP and director of business development and creativity, and had stints at Edelman and Ogilvy Public Relations.